Hey, hey! How is everyone's Sunday going? Hopefully it's sunny wherever you are. I'm just about tired of all this rain over here! But one of my favorite snacks has brought me a lot of sunshine lately. And has been a favorite ever since I can remember. 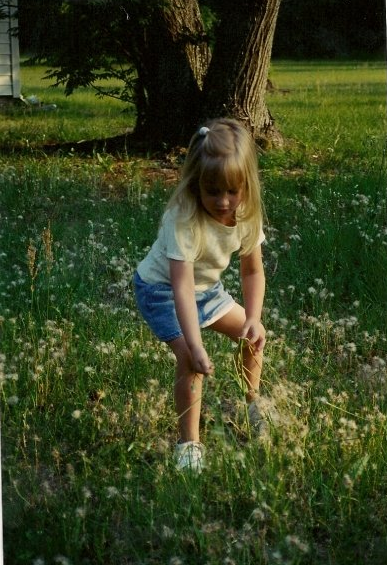 I grew up in a very small, country town in Florida where we would spend our summers picking wild blackberries in my uncle's backyard. Every year I looked forward to picking the juicy berries and enjoying them after a day in the hot, Florida sun. I remember my Gramma Jo would whip up a delicious blackberry cobbler for us and we'd top it with vanilla ice-cream. A couple of summers ago my cousin, Anna-Marie, and I attempted to re-create the cobbler, but my Gramma's was definitely something special. 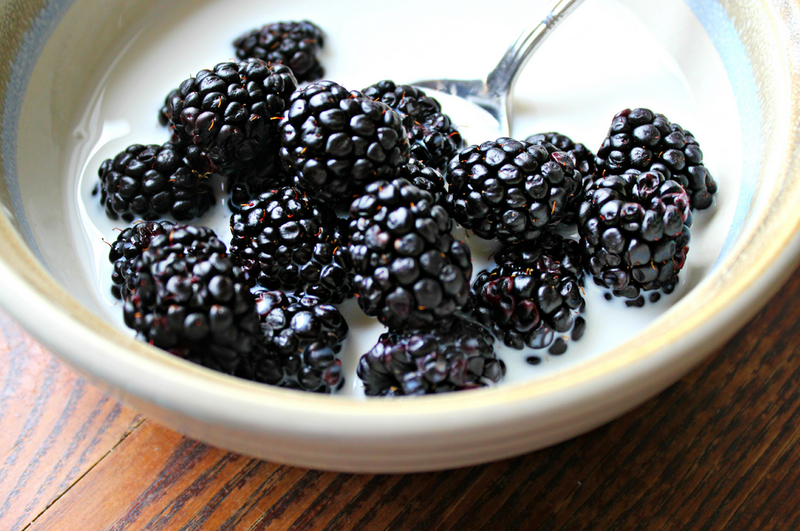 In addition to delicious homemade cobblers, I remember my Gramma would make us bowls of blackberries with milk and sugar as an afternoon snack. It was one of my FAVORITE things. A bit like cereal...without the cereal. 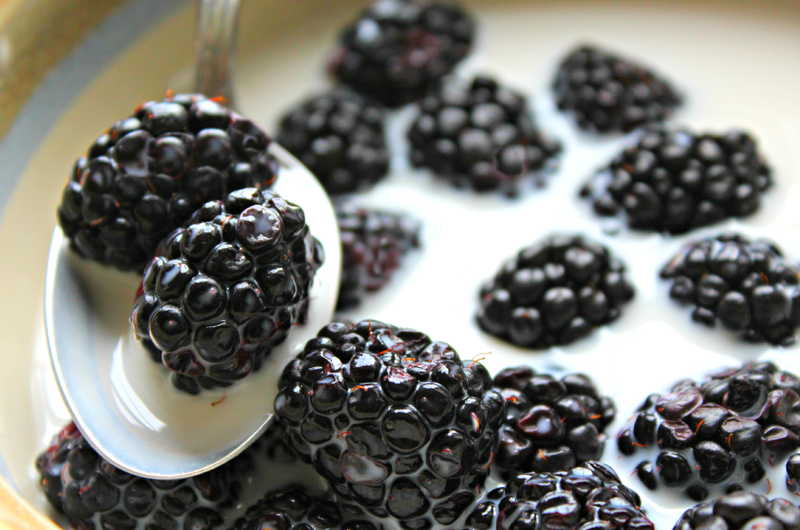 The fresh berries and the cold milk compliment each other perfectly and the sugar added the perfect hint of sweetness. I actually researched a bit about this treat because it's not often that you see people many enjoying it. I learned that sweet cream and berries is actually a British tradition. At Wimbledon, almost 9,000 bowls of strawberries and cream are served each summer. King George actually started the tradition in the late 1800s and it has stayed ever since. It is actually very similar to the more decadent French Crème brûlée, which is an indulgent custard topped with fresh fruit and sugar. I'll have to call my Gramma and see if our heritage has anything to do with her summer snack. I don't think we have an English or French background, but I would love to find out! 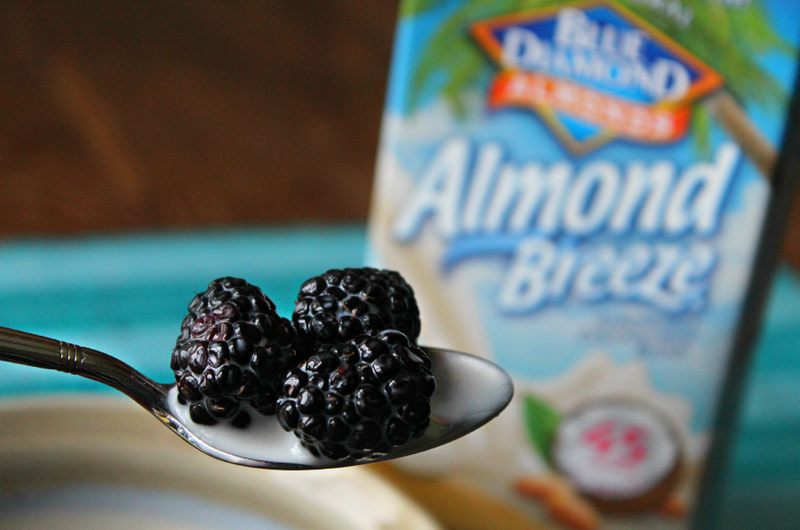 I wanted to create a light version of my Gramma's treat and was so excited when Blue Diamond sent me their new AlmondMilk CoconutMilk to try. I knew it would be PERFECT for this healthy and fresh snack. 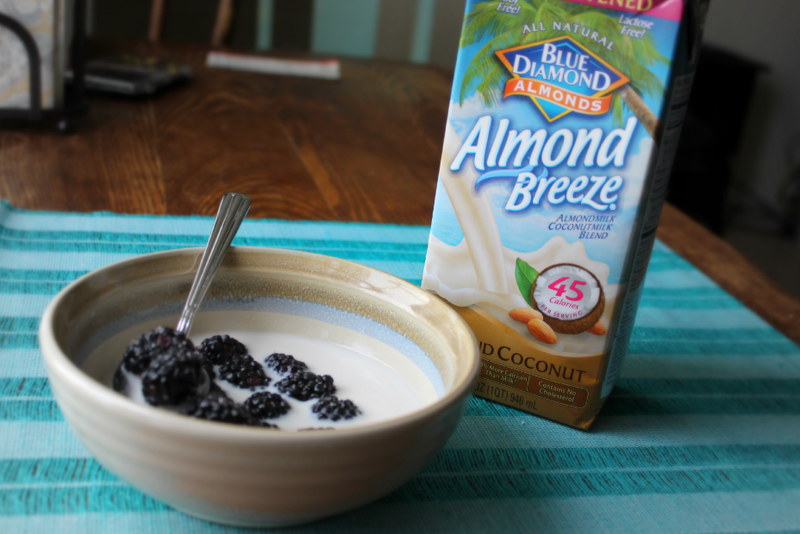 Simply rinse your fresh berries, divide into two bowls, top with ice-cold Blue Diamond Almondmilk Coconutmilk, sprinkle with sugar and cinnamon. Enjoy! I hope you enjoy this favorite snack as much as I do. Let me know when you give it a try! *this post is sponsored by Blue Diamond, but all views are my own!